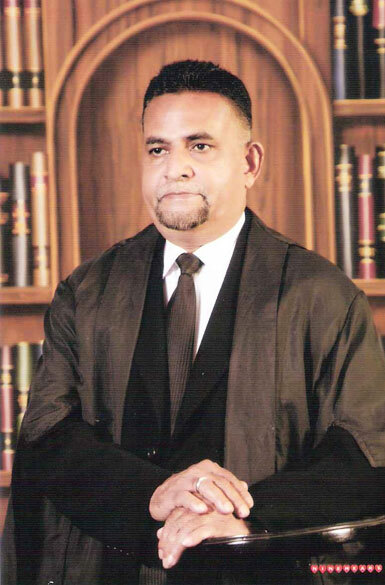 I decided to establish a Law Firm and would introduce Ekanayake & Associates as a Firm with a vision to providing cost effective legal solutions to clients when compared to the fees involved in obtaining legal services in Sri Lanka. Although, there are well established Law Firms in the country, their fees tend to be astronomical and this constantly puts clients into a dilemma as to whether to retain the services of these Law Firms or not. Therefore, our main objective is to provide a cost effective niche legal service to our clients who expect the quality and standards of top Firms at a reasonable fee. We aim to help growing individuals and organizations that are dynamic and aspiring to achieve their desired goals, whether it is a personal or business matter. I am currently practicing as an attorney and specializing in the forte of Immigration, commercial and corporate litigation. The scope of work that I am usually involved in is attending consultations, advising clients about strategies and legal solutions to problems of clients, liaising with lawyers, carrying out case analysis, legal research on issues and giving legal opinions. I am also involved in drafting applications and submissions for Supreme Court, Court of Appeal, Commercial High Court and District Court cases. I also handle matters relating to Customs, Labour Tribunals, Consumer Affairs Authority and Rent Board. I attend to courts on a daily basis and represent parties and make submission on their behalf. I am well versed in giving legal opinions on complex Immigration & company matters, providing guidance with regulations and facilitate smooth operations of top companies by negotiating with government authorities etc. I am also involved in drafting complex agreements such as facility agreements, carrying out due diligence for companies and ensuring company matters are in compliance with the current laws and regulations. Furthermore I also handle company secretarial work. I have legal work experience, having worked in a few leading Law Firms for several years in Sri Lanka and USA. I was attached to the litigation department, I was mostly involved in complex cases that involved a lot of research, drafting applications and submissions and other documents relating to litigation, legal opinions and appearing and representing clients during Trials and proceedings. I also practiced in some of the renowned chambers of some senior advocates in Sri Lanka. Thus, I have learnt to be independent as I had to solve the legal issues and resolve problems that were assigned during my tenures at aforementioned workplaces. We cordially invite applications from outstanding individuals who are committed and dedicated to working in a Law Firm for the growth of the Firm and personal growth of the individual. If you are interested in joining us, then please e-mail us your CV and we may consider you for an interview depending on the availability of vacancies. EKANAYAKE & ASSCIATES is a duly registered Law Firm handles visa consultancy and processing law firm in Sri Lanka. Initially opened for professional services in 2003 and established as a company in 2003, The EKANAYAKE & ASSOCIATES is based in Colombo 8 and comprises of a network of experienced visa consultants, Immigration lawyers, and processing staff. In its 10 years of consultancy service, The Ekanayake & Associates has handled and obtained all types of complex visas for clients traveling to the following countries: Australia, Belgium, Canada, China, Cyprus, Denmark, Finland, France, Germany, India, Italy, Malaysia, Netherlands, New Zealand, Norway, Philippines, Poland, Singapore, Sweden, Switzerland, UK and USA. EKANAYAKE & ASSOCIATES is a Law Firm providing cost effective legal solutions through a team of elite lawyers in Colombo, Sri Lanka. The Firm was established with a mission to support clients due to the exorbitant legal fees in Sri Lanka. The Law Firm now caters to clients who are growing as a result of a strong legal affiliation with the Firm, which is dedicated to providing guidance to all legal problems. Furthermore, the Firm is logistically situated within the heart of Colombo City, Sri Lanka. The Legal Firm’s vision is to provide tailor made services to its clients regarding the legal problems they are faced with in an ever changing economic and legal environment, whilst keeping in mind to meet the highest standards and expectations of their clients. We at EKANAYAKE & ASSOCIATES believe that the key to providing a professional legal service is to understand the wants and requirements of our clients and then to provide options of solutions and strategies to meet their requirements. Hence, our focus is to identify the client’s wants and needs and then to provide them with preliminary advice as to their current position and the possible options of solutions that are available to them. Our aim being to give advice on the chances and risks involved with the solutions provided in simple terms without the legal jargon and complexities involved, which will enable clients to clearly understand and decide how they want to proceed with their matter. Our Firm has a very flexible and approachable culture which enables us to adapt to our client’s requirements to provide customized solutions in a fast paced economic environment. The Firm’s mission is to take time and effort to ensure that our clients are satisfied with the outcome of the work we undertake and to provide cost effective services to a niche clientele. We would position ourselves as a leading Law Firm that provides value for money legal services up to the quality and satisfaction of our clients. Furthermore, we will take every effort to provide a personalized service meeting the standards that are expected within deadlines. However, this may be subject to circumstances that are beyond our control. At the first consultation, our clients can expect step by step explanations about the options of strategies available to them, procedures to be taken, the necessary documents that are needed and an approximate time frame to obtain the outcomes. Our lawyers will endeavor to understand our client’s wants and requirements and then advise them on solutions and the strategies that could be implemented to achieve their goals. Although most Firms will not give a clear idea about the costs and the likely time frame of achieving the desired outcome, our Lawyers advise you the solutions in simple terms to the point without leaving you in a dilemma with the legal jargon and solutions. Our advice will be comprehensive giving approximations of the possible outcomes, costs involved and a rough time frame of achieving the solutions. We will then designate a lawyer who specializes in the areas of law relating to the problem. The designated lawyer will personally and diligently attend to the action plan which will be under constant supervision and guidance from our experts. During the phase of carrying out the action plan, our attorneys will be constantly updating you on the steps that we are taking and the outcome of the strategy that has been implemented without leaving you in the dark. Our goal is to ensure that our clients are rest assured that they will not be in limbo not knowing as to what is happening regarding their problem. We believe that each client’s problem is unique and should be given the individual attention and priority that it deserves as our Legal Firm trusts in maintaining strong professional ethics and courtesy. Furthermore, our flexibility and adaptability to changes in circumstances will enable a smooth operation of the action plan that we are taking on behalf of our clients. If you have any legal problems, we cordially invite you to come and meet us to discuss how we can help you. Please contact us here.